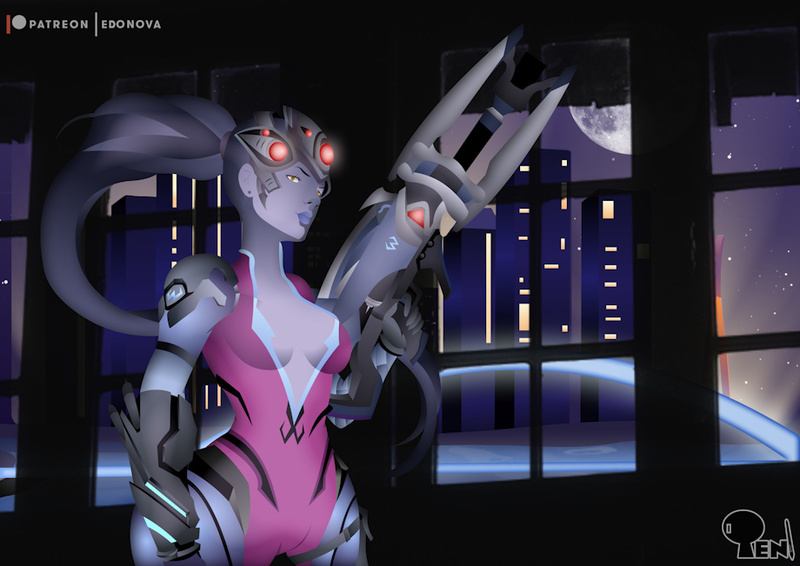 Widowmaker is one of the most popular characters in the Overwatch game, everyone knows her for that bluish color and the tight clothes she wears, and accompanied by her weapon and her arachnid helmet. This week, for the Overwatch week, I bring it to you ready to start your attack. Maybe, in the future, repeat some of the girls in something more burning, wearing swimsuits, etc.